The Tablets and the Smartphones have been a very popular product these days and apart from that even a lot of employees of business organizations are also purchasing one of these devices. So the term consumerization of IT comes into play which describes the influx of consumer tech in business. These employees are expecting the enterprise IT support departments to allow them with the full access to the companies email systems, internet resources, and line of business applications. Microsoft has now taken care of this increasing trend and is planning to include a management client on Windows 8 ARM tablets. However it also seems like some other organizations have also started to license and use GOOD technology to manage iOS and Android email usage. 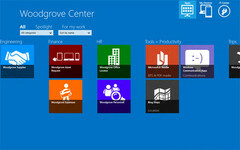 Microsoft seems to be detailing a way to offer Metro style apps to the Windows 8 ARM version. This service will be mainly be provided by the Metro style self-service portal app (SSP) which will be available on the Windows 8 ARM version, which will allow the employees to download and install the apps and gain access to the internal company’s website. The x86 version will be able to manage with products like System Center Configuration Manager and Windows Intune. But the SSP for the ARM will allow IT admins to offer Metro Style apps which will not get published in the Windows Stores and will not be available for the end users. The new SSP allows the IT admins offer business apps based on Active Directory user group members as Windows 8 ARM tablets will not be able to join a corporate domain and be managed directly. The maintenance sessions will also provide the reports and required updates. 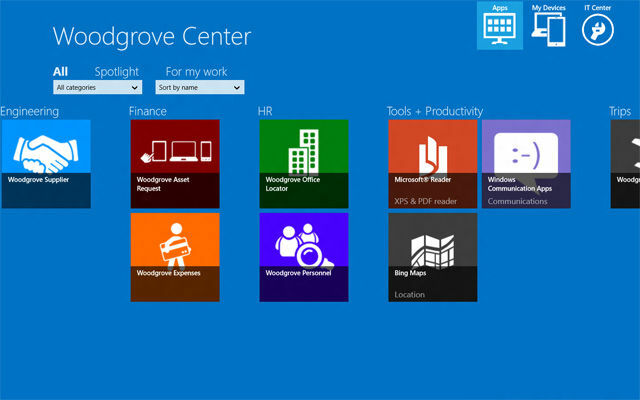 It will also be equipped with a disconnect option which will deactivate corporate Metro Style apps when an employee leaves the organization. Microsoft has positioned this as an alternative to the iPad for a business that uses Windows systems on desktops, and for availing this facility the management will require some investment to be made.